Many entrepreneurs start when they realise that the problems faced by society are an opportunity for them to build a solution. For friends and now-colleagues, Vijaya Kumar K, Vishnu Harikumar, and Ajmal Muhammad, their start-up story is no different. In the September of 2017, Vishnu Harikumar, 26, one of the PGDRM students from Institute Of Rural Management, Gujarat went to Attappady in Kerala for a two-month long village field study programme. The birth of their startup, Manram was a direct result of his visit to this millet farming village in Kerala’s Palakkad district. The village is marked with many problems ranging from high infant mortality rate to even alcoholism. 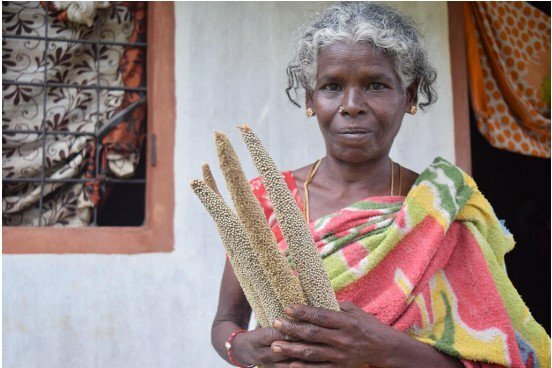 While working in close proximity with the local farmers, who mostly produce millet as a primary crop, Harikumar found that since the prices of millets are low, many farmers have minimal incentive to continue with millet production. 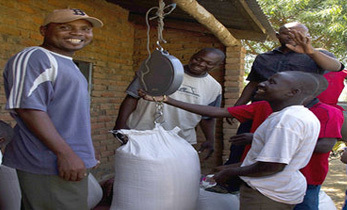 That is when the idea of empowering the tribal millet producers in a sustainable manner, struck him. It did not take long for the trio to then meet, discuss and brainstorm the possibility of a startup. With a community-based approach in mind, they began the ideating process for their start-up, “MANRAM”. The company is a for-profit social enterprise which aims to empower the tribal population of South India (starting with Attapady in Kerala) socially, economically and socially through millet-based snack products. 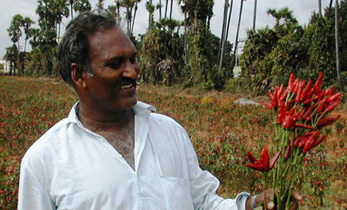 Vijaya Kumar, one of the co-founders of MANRAM, while talking to The Logical Indian said that the enterprise collectivises millet farmers and aims to provide them with a fair price, necessary technology and training to add value to millets. 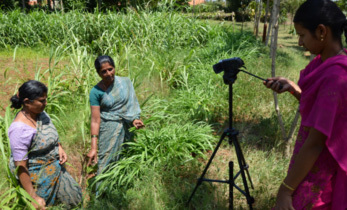 “We are presently at the ideation phase, but we want the startup to benefit the rural farmers in the area, by procuring the millets they produce and then produce a snack product for consumers,” said Vijaya. 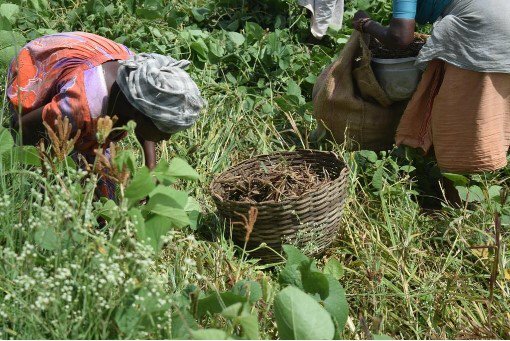 They wish to ensure a smooth supply of primarily processed millets that will be purchased from Farmer Producer Organisations (FPO) at a fair price. 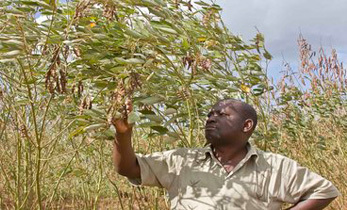 In turn, the FPOs will be supplied indigenous seed varieties through a seed bank. 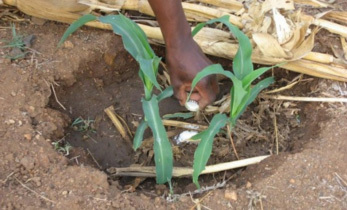 He added that at present, the Minimum Support Price (MSP) of millet is barely covering the cost of production, as a result of which many farmers have been switching professions as well. What sets this start-up apart is the fact that they do not wish to stop at selling raw millets only. “We don’t want to sell raw millets, but instead, sell a healthy millet-based snack product to the Indian consumers,” added Kumar. He also said that a healthy, organic yet tasty snack is the need of the hour and they plan to address that through their gluten-free millet based flavoured flakes. Upon being asked about their future plans, Kumar was prompt to say that their short-term goal is that of developing the right snack product with the right flavours. 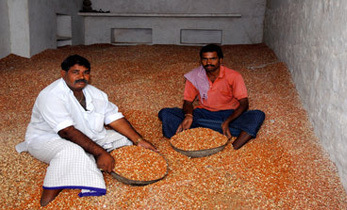 He attributed lack of marketing and awareness about the benefits of millets to its declining popularity. However, they plan to launch operations soon after they graduate from their respective courses. 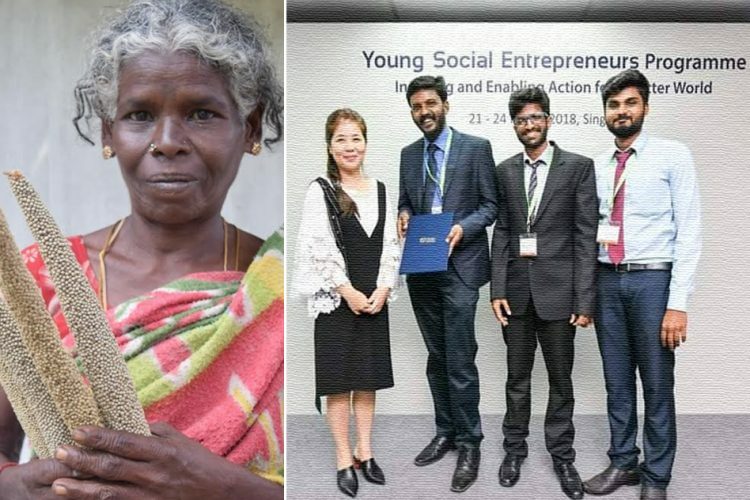 The efforts of the three entrepreneurs did not go unnoticed, as MANRAM is one among the 16 startups from over 47 teams participating from 29 countries and territories at the Young Social Entrepreneurs Programme (YSE) 2018, which is hosted by the Singapore International Foundation. Vijaya said that they got to know of this competition from a senior. In October 2017, after they registered their company, it was shortlisted after initial pitching of the business idea. They also participated in a workshop in Singapore where they learned how to pitch ideas under the guidance of seasoned mentors. The team is now part of an eight-month-long mentorship programme at the end of which, the teams will get an opportunity to pitch their business plans before a panel of judges. Six teams will get the opportunity of getting a seed funding of 20,000 Singapore dollars (Rs 10 lakh approximately). Vijaya said that this opportunity is something which very few startups get. This YSE Programme has been a facilitator of sorts for these young entrepreneurs who aspire to make a difference in the society. The Logical Indian appreciates team MANRAM’s efforts in bridging the gap between the tribal millet farmers and the urban populous.